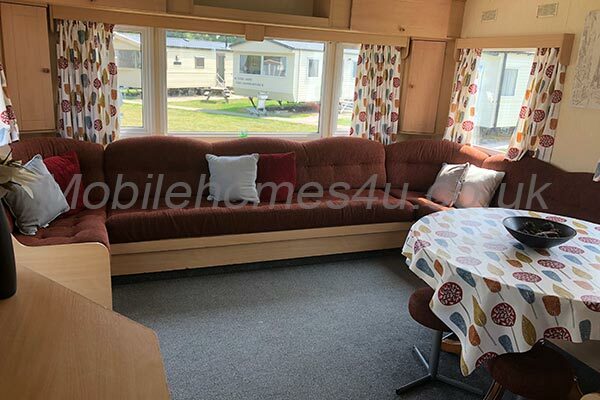 This is a very large caravan, has 3 twin rooms that have newly been decorated, one double bedroom and a sofa bed in the lounge, open planned kitchen & front room. 2 toilets, one shower, travel cot and high chair. 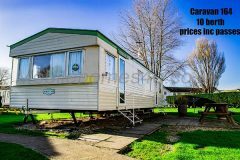 This is a 10 berth caravan and has double glazing and central heating. Perfect for larger families. 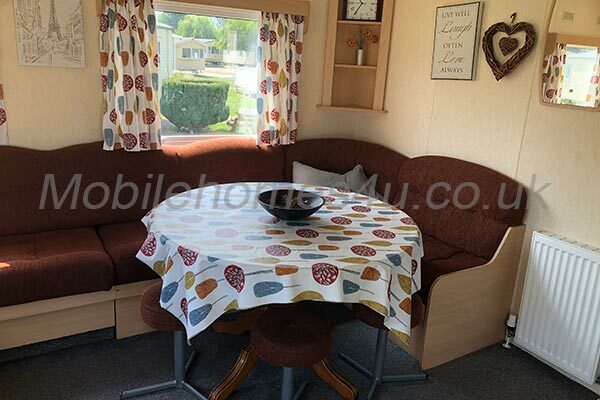 Also has a washing line & picnic bench outside on the patio. Open plan living room, dining table, tv, large sofa, high chair. Fully equipped with everything you need, Eg: Microwave. Oven, Kettle, Toaster, Grill, Cutlery. 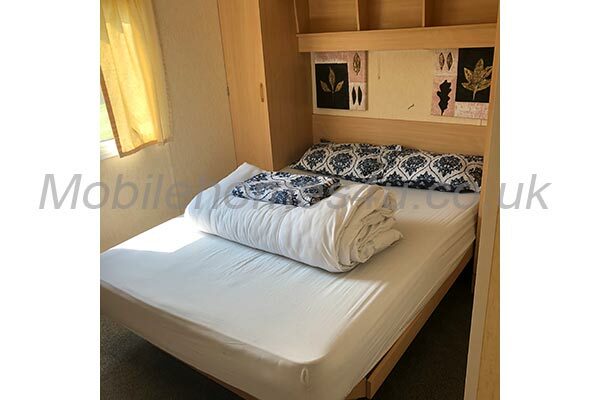 3 twin rooms, 1 double room. Picnic bench on patio, Washing line. All prices include passes & bedding for the whole party. 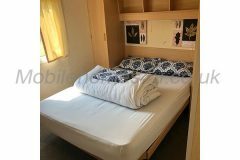 £75 non refundable deposit to be paid to secure date, the remainder due 8 weeks before. Payments via PayPal or bank transfer.